Roses are the most popular flowers not only in your garden, and not only in every flower shops that you see, but, very popular in showing your true feelings to someone may it be love, apologetic or just want them to feel that they are special. But did you know that these popular flowers have different types and varieties? 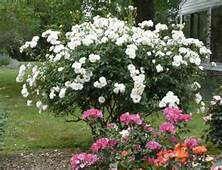 The different types of roses that are low growing type, bushy, climbing , miniature or hanging. There are two classes of roses; the old garden roses and the modern roses. 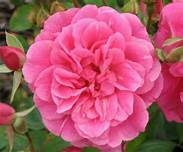 Old garden roses, as what the name say, are old fashioned roses, or old shrub roses. These old garden roses, once they were established, flourished and survived on old homesites and cemetaries for centuries, without any care at all. Old roses thrived with no garden hoses, sprinkler systems, or spraying. They also survived climate extremes, such as drought, heat waves and blizzards. Gallica Rose – abundand in the European and western Asia, gallica rose have semi-single red rose blooms. It is the finest among the old garden rose and flower only once every summer. 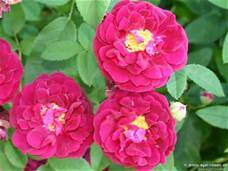 Damask Roses - originally from Damascus, damasks roses only flower during the summer. The cross between of a gallica roses and a R. moschata flower every autumn making damasks the only garden roses that bloom twice. 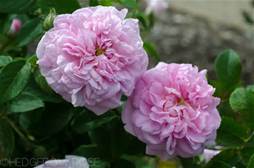 Centefolia Roses - is sometimes called the cabbage rose. This kind of old garden rose is popular with the Dutch in the 17th century. It is a favorite subject for Dutch painters because of its 100 petals. It grows abundantly in summer. 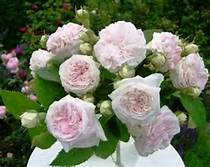 Alba Roses – is popularly known as the white roses but there are the pale pink hue varieties of this kind of roses. 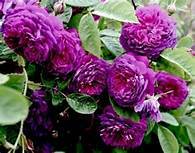 There are also the bluish green foilage type alba roses. China Roses - came from the 18th and 19th century China and eastern Asia. China Roses repeat to flower through the summer seasons til fall. Tea Roses - originated from a two tea scented China Roses. It is a new breed of repeat-flowering old roses. Tea Roses can be grown in a warmer climate. 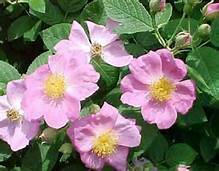 Sweet Briar Roses – originated in the 19th century and is popular because of its applescented leaves. 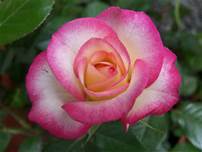 Hybrid Tea Roses - have beautiful, formal, high-centered blooms that looks like florist roses. It has a vase like shape and are repeat-flowering that blooms from summer to fall. 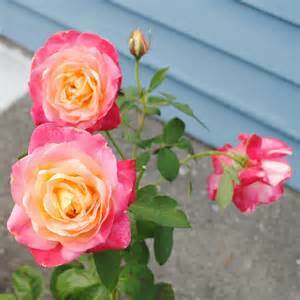 Floribunda Roses – are everblooming, free-branching rose bushes of upright or bushy habit. Floribundas are abundant during the early spring until late fall. Use them in borders or as short hedges. 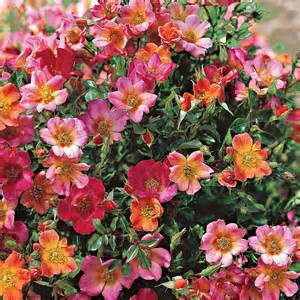 Groundcover Roses – These modern garden roses are spreading and trailing shrub roses. Many bear flowers all along the stems.